Holiday season is the perfect time to meet relatives and friends. It’s the time when all of us are up to our ears in holiday rush and non stop 24/7 shopping. For consumers it’s the best time to take advantage of discounts and holiday offers. For businesses the competition becomes fierce, as retailers and shop owners fight for customer attention amidst the holiday madness. Some businesses use out-of-the-box ideas to win more customers and leave less innovative competition in the dust. In this blog post I would like to share best holiday season practices from business and customer service leaders. Take a look at them. 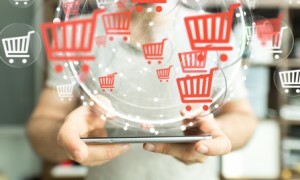 According to a survey conducted by the consulting firm Deloitte , 47% of holiday shoppers plan to spend this year as much money online as they do in stores, continuing a trend that has been building momentum for years. Amazon, in particular, has been a driving force in the shift from brick-and-mortar retailers to online shopping. Thus they added 120000 seasonal jobs to meet the holiday demand and provide their usual superior customer service to online shoppers. In addition to this Amazon is restricting access to its warehouses for merchants new to Fulfillment By Amazon (FBA) ahead of the holiday season. This was done to ease pressure on its fulfillment centers in the run-up to the busy shopping season in order to avoid any potential delivery pitfalls and subsequent consumer frustrations. Although such decision may deter merchants from using FBA, it will help merchants maintain customer satisfaction and loyalty by minimizing the risk that a delivery will be late. The main goal is to maintain usual high customer service level and fast delivery during the holiday season. WalMart famous for emphasizing low prices wants to be known this holiday season for its superior customer service. This year they are introducing an army of Holiday Helpers that will assist customers during their checkout process. “While the gift of time isn’t something that can be plucked off the shelves, there’s one way we’re working to ensure you can find it this year at Walmart. It’s introducing our Holiday Helpers, who will be helping to grant you a few extra minutes all season. “ – Walmart wrote in their blog post. Walmart’s Holiday Helpers will be in stores dedicated to helping customers get through the checkout process faster. These Holiday Helpers will bring the holiday spirit to stores, which will be transformed into winter wonderlands this year. Customers will also enjoy more than 150,000 planned demos and visits from Santa who will make 23,000 appearances throughout the season. Free shipping isn’t something new offered by retailers. However, it is really nice to save on delivery of your orders. For the second year in a row Best Buy is offering free shipping on online purchases during the holiday shopping rush till December, 24. Forrester Research shows that the first vendor to reach a prospect and set the buying vision has a 74% close rate while the close for those who respond to consumers’ request is 26%. InsideSales found that 50% of sales go to the first salesperson to contact a prospect. Such kind of strategy always proves to be successful. An average consumer will see it as the opportunity to reduce costs while Costco’s club members can see it as a confirmation how important they are in the entire event planning. While some malls and retailers plan to stay closed for Thanksgiving, nearly all Toys“R”Us locations will be open for 30 hours straight, from 5 p.m. on Thanksgiving to 11 p.m. on Friday. Customers of this brand will have an opportunity to get an early shopping start on their holiday shopping lists. In addition to this Toys“R”Us locations will be equipped with large, digital maps at the entrance where shoppers can search for the location of specific items to facilitate and speed up their shopping. Toys“R”Us will also offer free shipping and free layaway for online purchases over $19. Besides, toy experts will be available for consultation all the time during the busy shopping season. As it tends to do each year, Apple has recently released the 2016 Holiday Gift Guide and emailed its customer base to share ideas for gifts across a range of categories and prices which should allow everyone to find at least something for their Mac or iOS. Apple is also offering holiday shipping specials again this year, with free two-day shipping on orders placed before 5 p.m. in the United States, and free next-day shipping on orders over 40 pounds placed by 7 p.m. in the U.K. There are also deals for Australia, Canada and Western Europe. Keep these great ideas in mind during the holiday rush and well beyond and offer something special to your customers. This kind of attention can build a solid emotional connection and commitment to your brand. You are welcome to share your ideas for preparing to the holiday rush this year. This entry was posted in Articles and tagged holiday rush, holiday shopping rush. Bookmark the permalink. the best time to take advantage of discounts and holiday deals. For business, the competition gets fierce, as retailers and shop owners struggle to get customer attention in the midst of holiday madness.